* Contact us for diamonds of higher quality. This jewel is handmade by our goldsmiths in our Antwerp workshop. We produce locally to guarantee fast deliveries without compromising quality. To ensure the best result, we work with the highest quality materials and artisanal production processes. All our efforts will be reflected in the beauty of the jewel. Same design, other carat weight? BAUNAT offers free delivery worldwide. When your jewel is ready, we will contact you to arrange the delivery with you personally. We only work with reliable courier services that have extended experience in the shipment of valuable goods. All our shipments are 100% insured. Every BAUNAT jewel comes with exquisite jewellery gift packaging, including a BAUNAT jewellery box, shopping bag, guarantee card and cleaning cloth. The packaging is perfectly suited for a present. You will receive a diamond certificate for every stone larger than or equal to 0.3 carat. 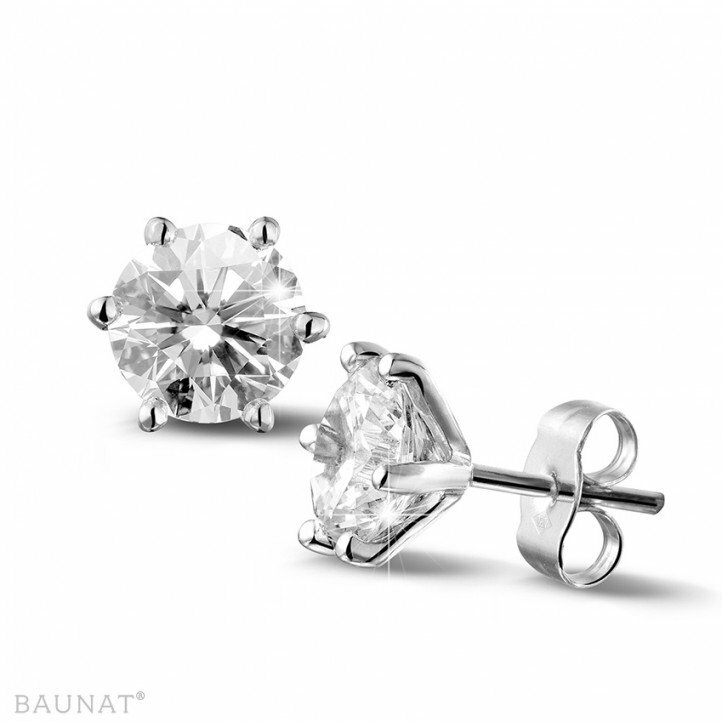 At BAUNAT we only work with the most renowned certificates of the diamond industry worldwide: GIA, HRD & IGI.